Closed Joint Stock Company “Energomash (Chekhov)-CHZEM” is the largest supplier of high pressure pipeline valves. JSC “Energomash (Chekhov)-CHZEM” has a long-term experience of pipeline valves combined with state-of-the-art equipment, technology and highly skilled specialists. JSC “Energomash (Chekhov)-CHZEM” develops and manufactures pipeline valves for working mediums “steam-water” for power engineering, including nuclear, oil-and-gas, chemical and other branches of industry, comprising nominal bores from 6 to 800 mm, working medium pressure to 40 MPa and temperature to 650°С. • Design and manufacturing of other mechanical-engineering products. • Realization of research-and-development activity and its integration. 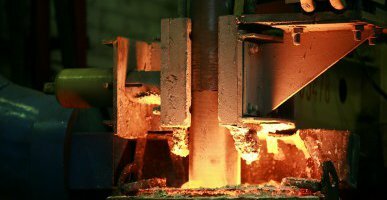 • Manufacturing of blank parts by means of electroslag remelting process. • Rendering services on maintenance and repair of JSC “Energomash (Chekhov)-CHZEM”. • Carrying out of certification tests and other types of tests of pipeline valves. 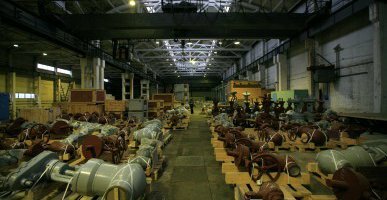 JSC “Energomash (Chekhov)-CHZEM” has all necessary licenses for manufacturing and application of pipeline valves, as well as Certificates of Conformity of Company’s Quality Management System complying with ISO 2001:2008 requirements.